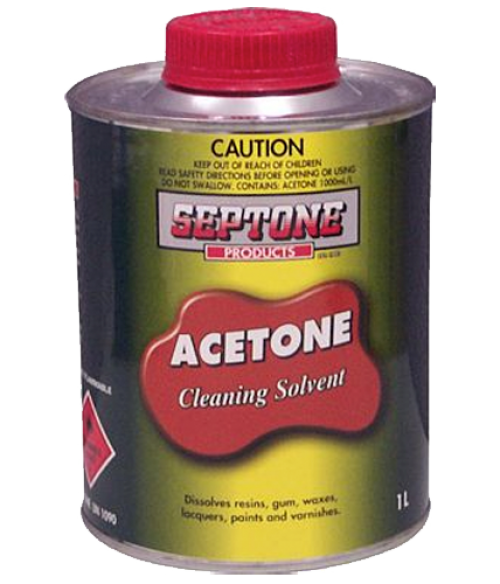 Acetone is an extremely versatile solvent and has excellent solvency power for resins, gums, fats, oils, waxes, rubber, plastics, nitrocellulose, paints, lacquers, varnishes, adhesives and rubber cements. Acetone is commonly used in varnish and nail polish removers. It is ideal for a number of solvent and extraction applications. Note that Acetone attacks many plastics. Keep away from plastic eyeglass frames and lenses, pens, rayon garments and stockings, plastic jewellery, bullet-proof glass, etc.